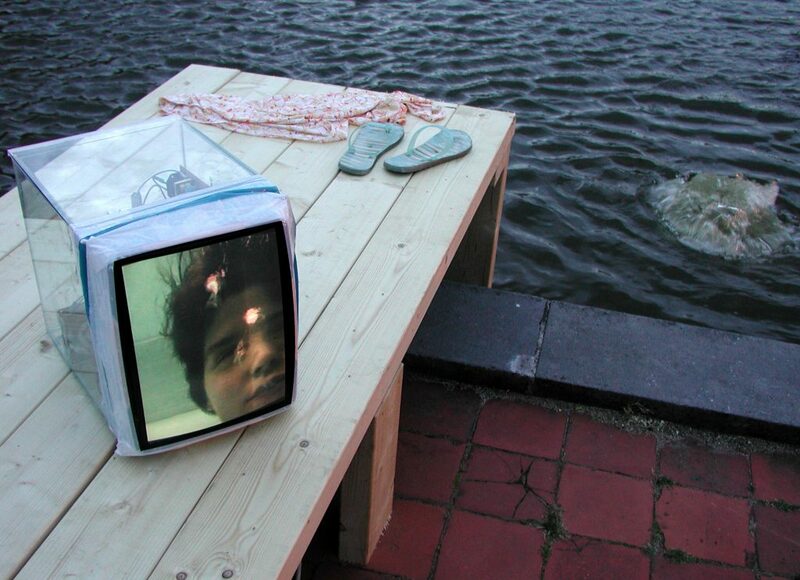 In Drenkeling, a monitor sits on a small wooden dock on the edge of a water pool. A dress and a pair of sandals lay unattended at its end. 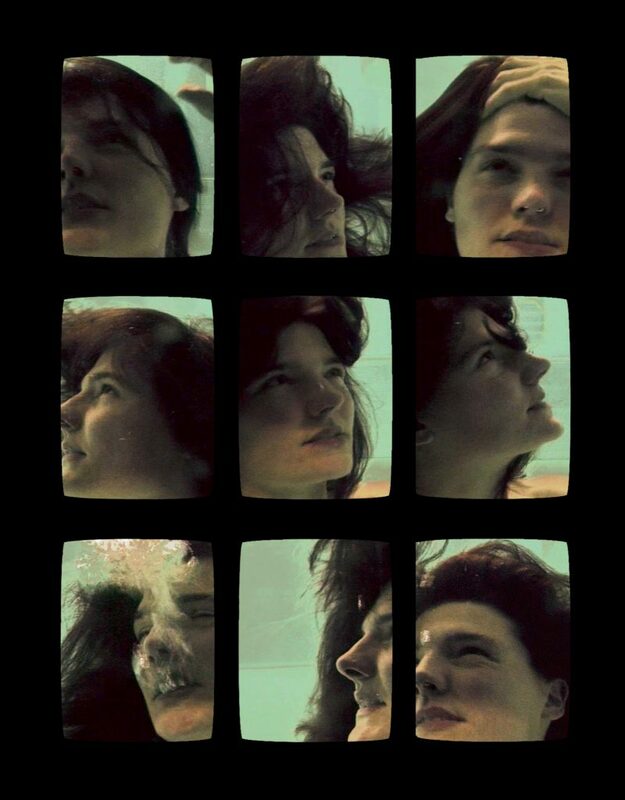 The monitor depicts a woman’s face under water. She is floating, physically and in her own thoughts. She is resigned to her circumstance. The woman exhales periodically, air bubbles appear on the screen. 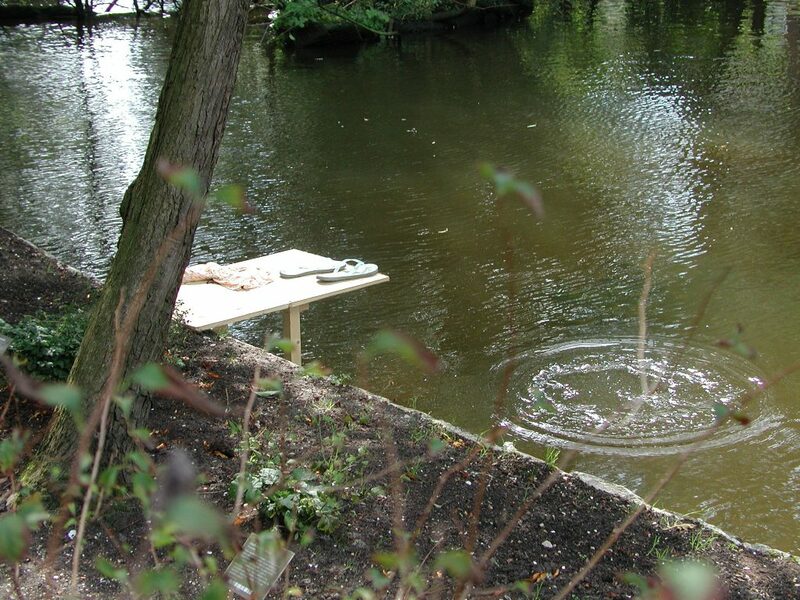 As the bubbles disappear on the screen, they burst on the surface of water and into reality.